A rogue trader who conned two “vulnerable” victims - while professing his Christian values - has been spared jail by a judge. Painter and decorator Paul Anderton even ferried 89-year-old Lilian Harrison to her bank so she could pay out £500 for extra work at her home, Bolton Crown Court heard. Anderton, who represented himself in court, insisted he never used his faith to con Mrs Harrison or a second woman, Christine Barker, out of £2,700 for bogus home repairs. But Judge Graeme Smith ruled even if the 50-year-old had not directly used his Christianity to dupe the pair, discussions about his church attendance would have led them to expect certain standards of behaviour from him. However Judge Smith imposed a 10-month prison term, suspended for two years, so he could undertake rehabilitation work and fund compensation payments totalling £2,370. Anderton, of Violet Street, Ashton, who admitted fraud and consumer protection offences must also perform 100 hours community service. David Birrell, prosecuting on behalf of Wigan Council, said Mrs Harrison needed a leaking bay window fixing and chimney repointing work completed last August. Anderton, recommended to her by a neighbour, quoted £600 for the job, which she paid. But later Anderton turned up at Mrs Harrison’s front door unannounced and told her he needed £500 to pay for scaffolding, said Mr Birrell. She offered to pay him the following Thursday but he insisted he would drive her to the bank that day. Mr Birrell said Anderton stood behind Mrs Harrison at the bank, as she withdrew the money, and handed it directly to him. The court heard by October the work had still not been carried out. 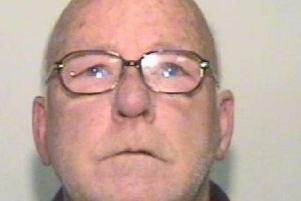 Anderton “offered various excuses and promised to repay” Mrs Harrison but never did. Mr Birrell said Anderton’s second victim, Christine Barker, had been duped previously by a rogue builder, and lost £2,500. Anderton wanted to “put things right” and discussed his Christian faith, while agreeing to repair her garage roof and bay windows. Mrs Barker handed over £1,050, for materials, before Anderton told her he needed another £700 for “marine plywood” for the roof, which she paid. Mr Birrell said Anderton claimed the work had been finished but Mrs Barker could find no evidence of progress. When she challenged him he produced fake timber merchant invoices for the wood. An investigation was undertaken by Wigan Trading Standards into Anderton’s activities. He was interviewed but denied any wrongdoing. And Mrs Barker added: “Mr Anderton knew I had already paid £2,500 on my garage. I felt I could trust him to put it right after he told me he was a Christian, that he attended church and was involved in the clergy in Wigan.